Try these tasty and unexpected alternatives to the usual Halloween party food recipes that are currently flooding the internet. 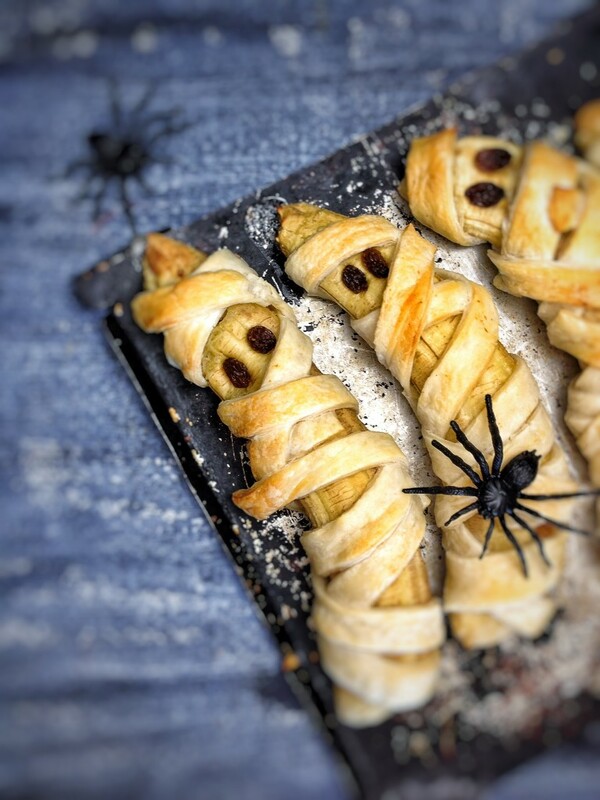 We have sourced in our opinion, the top 10 sweet and savoury treats, that will tempt even the most hardened traditionalist at your house party this Halloween. From baked banana mummies, ghostly s’mores brownies and wicked witch (or wizard, depending on how you decorate it) guacamole, there is an impressive array of treats here for you to trick your guests into eating a little more healthily or to cater for those with allergies. Either way why not make Halloween 2016 the year you add a new dish to your party food repertoire? 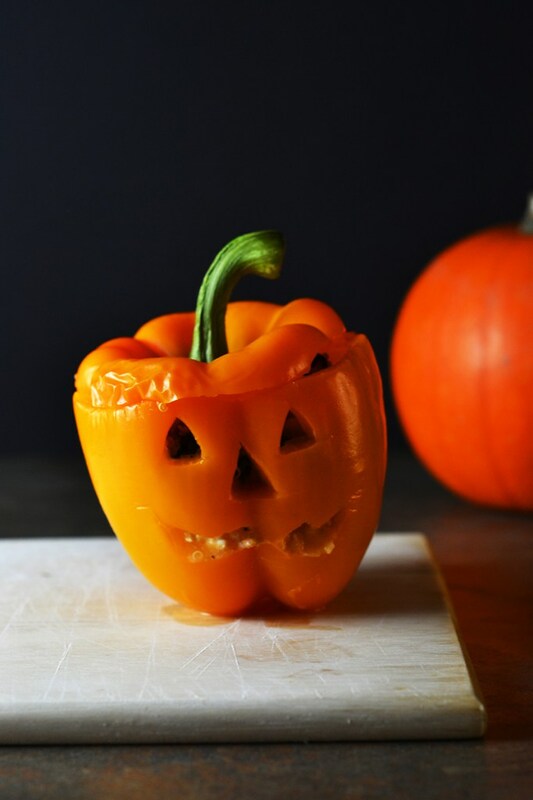 A fun substitute for pumpkins at this time of year, why not try instead these themed stuffed peppers. Sure the carving might be a little more intricate considering the reduced size of the bell pepper, but the effect is completely worth it. 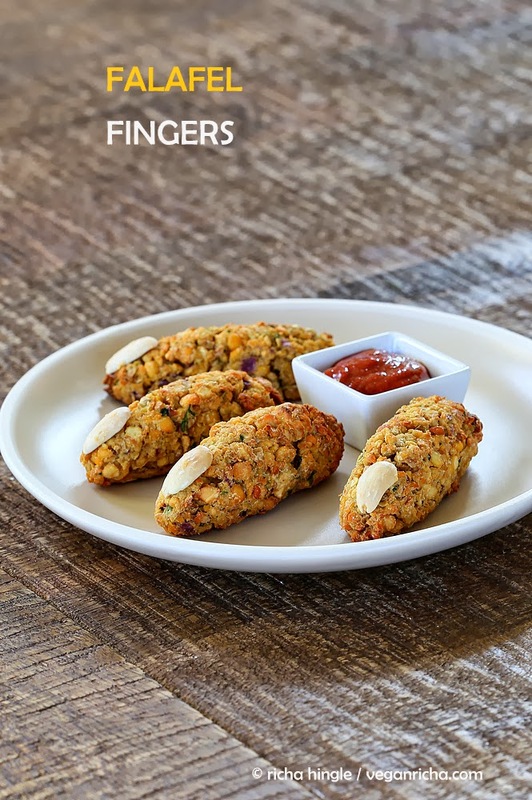 Not only do these cheeky chaps look the part but they are a nutritious and filling mini meal, to help bulk out your party food display table and will go well with the other mainstream savoury dishes you have planned. Inside they are filled with quinoa, spinach, feta, garlic and onions. 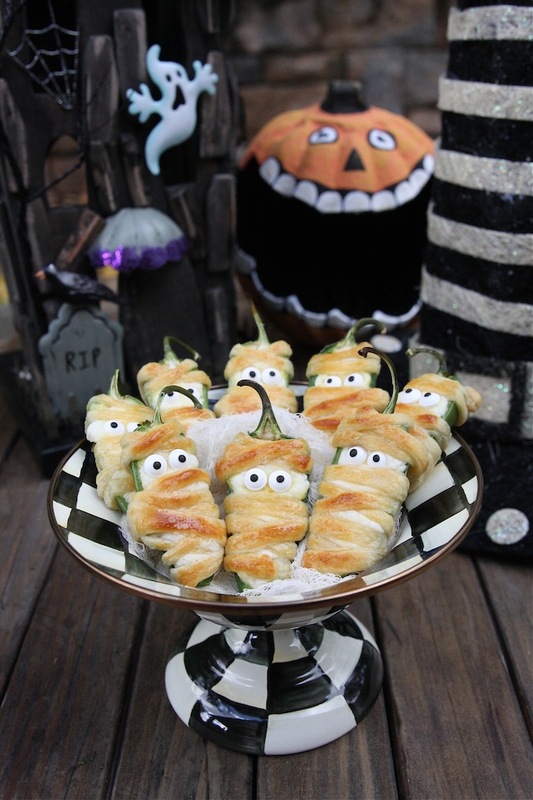 These little cuties are a great conversation starter, try handing them around in bowls as your guests start to arrive, they will make fantastic creepy canapes. Due to their cream cheese filling and glutenous ‘bandages’, these are a good example of catering to your veggie friends too! We recommend using puff-pastry as an alternative to the Crescent Roll Dough, used in the original American recipe above in the image credit link. 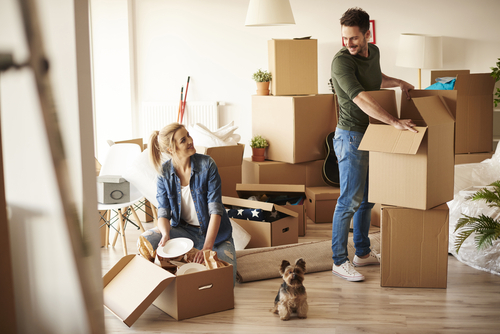 It might be a bit time consuming wrapping them up, however, it will be a cinch after you have done a few and you will be on a roll in no time. 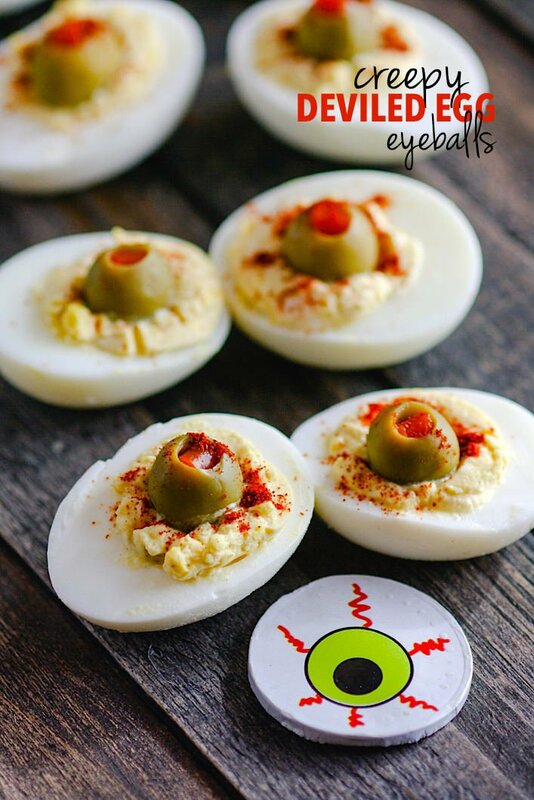 A healthier twist on the original deviled egg to serve alongside your Jalapeño mummies as a canape. Sure to be a favourite with kids and adults alike, this paleo mayonnaise version includes eggs, spices, green olives and pickle juice for added zing. Get creative with the paprika to make yours bloodshot and scary! This baked chickpea and split pea falafel fingers will be snapped up in no time. Try soaking them up with tomato ketchup ‘blood’ to give them an extra scary sauce. Bake to perfection to make them even healthier, give them a go in a toasted sandwich for a Halloween vamp-up of the fish finger version. There are so many ways you can get creative with the decoration of this aptly coloured guacamole dip. 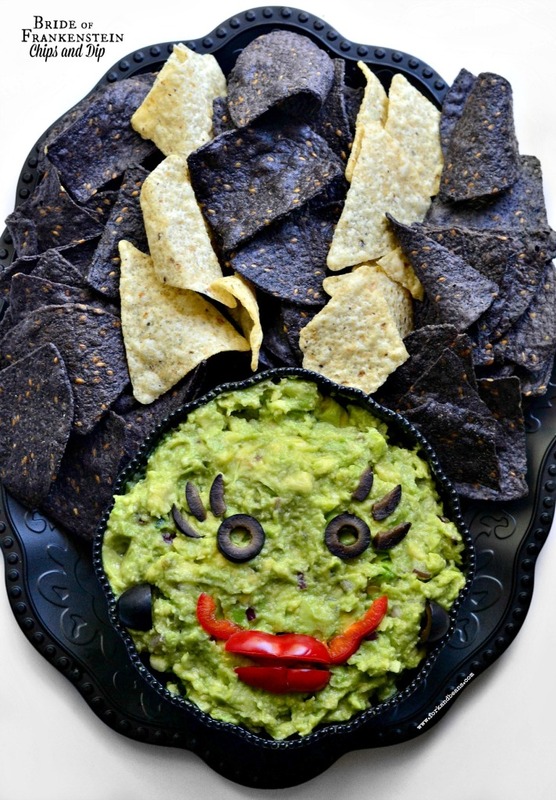 Try shaping the tortilla chips into a black witches hat or Frankenstein’s hairstyle. 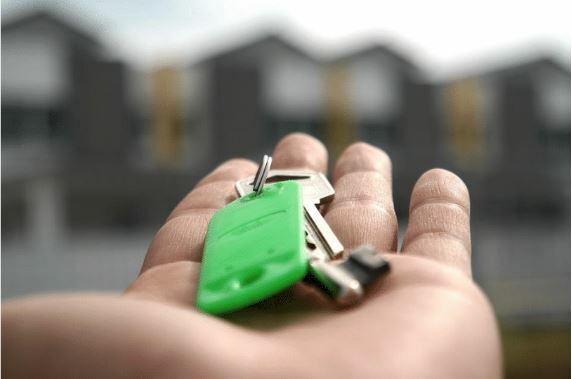 You can’t go wrong with a healthy portion of homemade guacamole, this recipe is a perfect last minute, no fuss recipe and everyone has their own take on it. 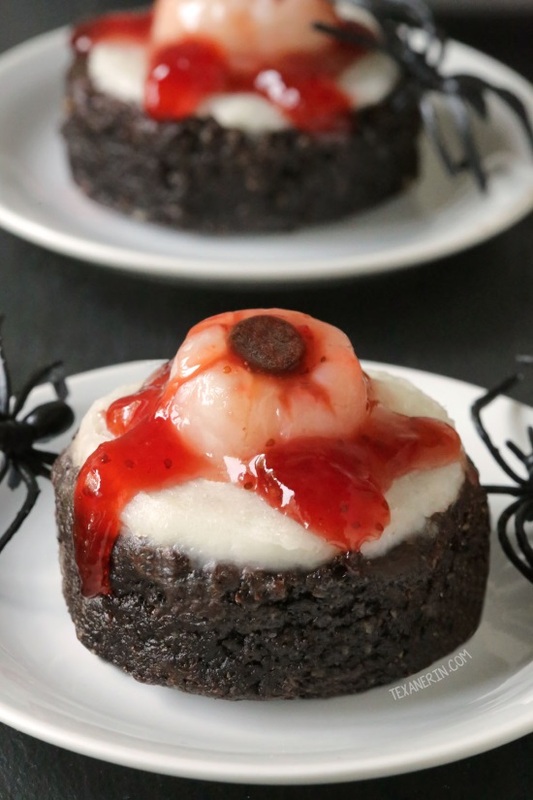 The realistic, squidginess of this eyeball is made from a lychee, coconut butter icing and strawberry jam. 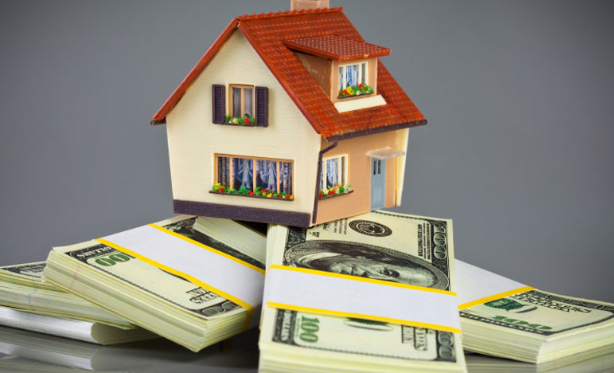 The brownies themselves are paleo, gluten-free, dairy-free and grain-free. The texture of these brownies is quite close and chunky but it’s a great kick of chocolate to the system. Here is the fruit, pudding version of the earlier savoury canapes, try serving them with a gooey chocolate or salted caramel sauce for a little something extra. Word to the wise, definitely add the sultana eyes after baking the bananas, to avoid them pinging off in all directions inside your oven! 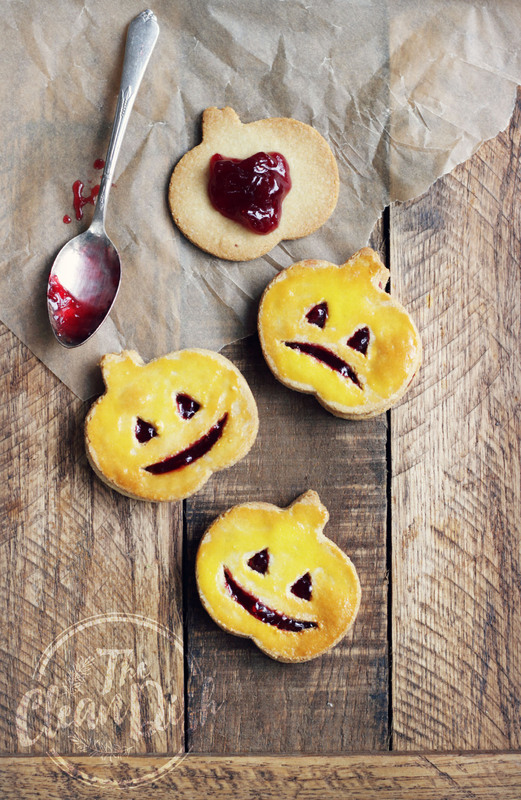 These adorable pumpkin shaped biscuits, a great take on the good ole jammie dodger, are perfect for Halloween and with the vegan-friendly added in they are sure to go down a treat! But why limit them to just Halloween? You can create Christmas and Easter versions as well to keep the fun going all year round. 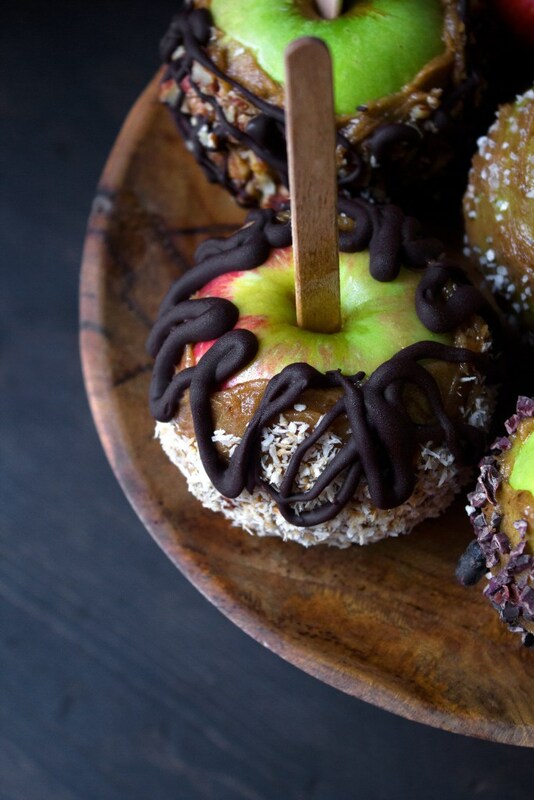 Raw, date caramel is used in an innovative way in this alternative to the traditional hard candy apple. This version is equally delicious and a lot healthier to boot. With numerous toppings you can experiment with, these candy apples are fun to make and less time consuming, win-win! Substitute gluten-free digestive biscuits for a British alternative to Graham’s Crackers, to give your brownies the s’more’s texture on the base. Make your favourite gluten-free or dairy-free brownie mix and pour over the crushed biscuit base. 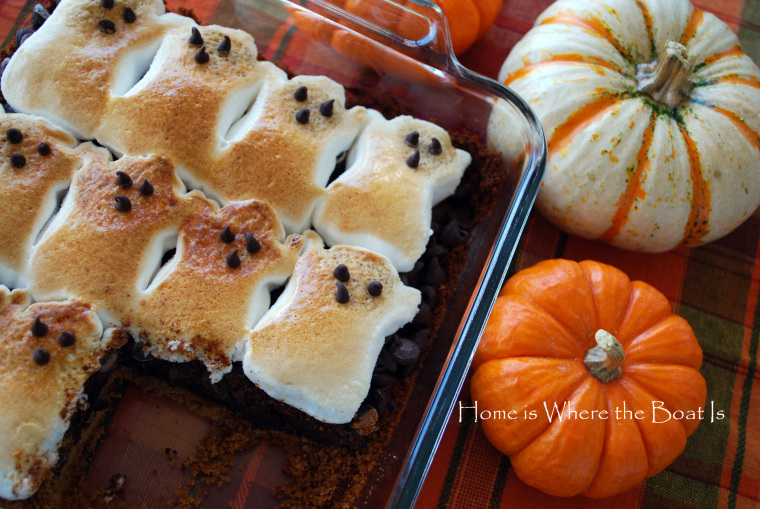 Sneaky trick, sprinkle chocolate chips over the brownie mixture during the baking time, to make the marshmallow shaped ghosts stick, then brown with a blow torch or under the grill. Vegetables: Which foods are in season this autumn? 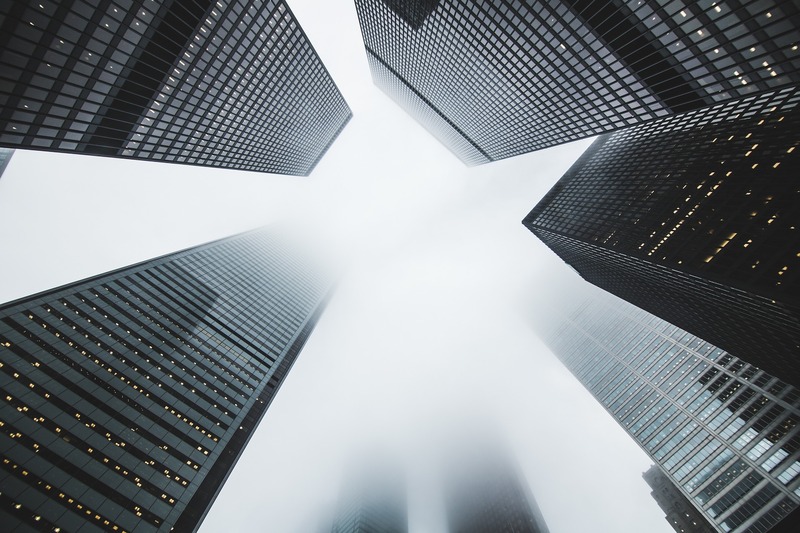 Find Top Restaurants, Pubs, Shops or Offices Near Your Potential New Home!